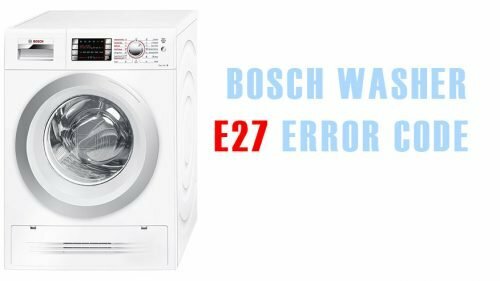 Recommendations for troubleshooting washing machines. Free help for error codes for household appliances. The E27 fault code means that the door is being locked. Press “Allergy rinse” and “Spin Selection” simultaneously. Choose “Cold” using the mode selection knob. There were several codes blinking on the LLCD display: the machine is resetting. Wait a few seconds and turn the knob to “Off”. Switch on the appliance and try to run a cycle. Most likely, the error will be gone and your machine will be working like clock again!